Fly to Male International (MLE) to land before 12 Noon on the first day of the trip. Departure flights after 3pm on the final day. Myself, and/or crew members will be awaiting upon arrival, and a boat transfer scheduled to take us to the main vessel. Maximum of 8 people on a newly refurbished, luxurious, fast boat. Having now worked with the same crew for a majority of my trips since 2014. I can honestly say they are the best by a long way. Super attentive service, great management, they couldn’t do more for you whilst still having fun with us. I used to expect to lose weight on these trips not gain, but Juned, our chef, is a feeder as well as an entertainer! 2018 season was unbelievably good, with solid waves throughout all the 3 trips (June, July and September). The group on the Milestone trip clocked up a massive 60+ hours of surfing throughout their 10 day trip!! As you can see from the shots above, the trips all had waves with power and well overhead. However, don’t worry, most years have waves that are head high and fun. The typical spots such as Sultans, Jailbreaks, Honkies will be our mainstay as these waves are perfect for coaching on. They are also the most consistent. Options up North to Chickens, Cokes, Ninja’s are available but what sets 2019 apart is the options to travel through to the Far South including Riptides, Foxies, Mushrooms and F1’s. 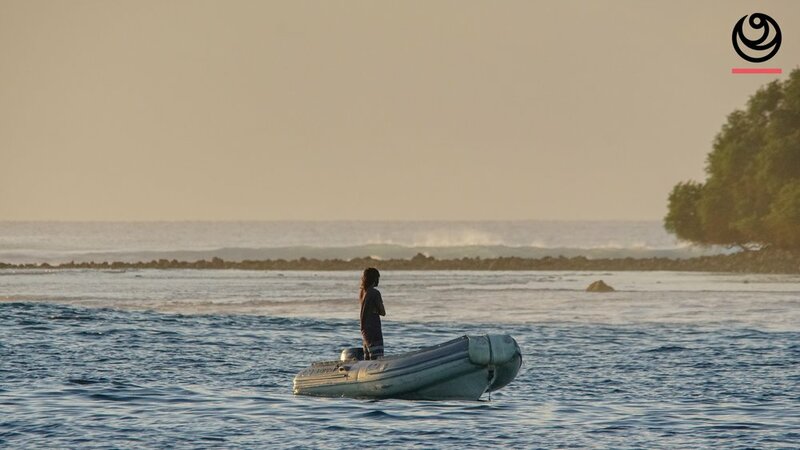 This new option of heading down to Meemu atolls is a huge bonus to help us find the perfect surf with less crowds and a more manageable size. Plus the fishing is excellent here too. No matter where we are Jez will be on hand to coach you but to also guide you in the line-ups. Teaching you where to sit, and how to get the most out of the break, safely. Video analysis isn’t just pointing a camera at you and playing it back. Jez has over 36 years of surfing experience, 18+ years of coaching experience and over 17,000 surfers taught. There’s a reason as to why he’s one of the few Level 4 Masters in the industry. Key mistakes, missed opportunity and other points will be highlighted immediately and simple, attainable solutions applied. Due to the level of video and photographic quality (4k at 120fps) minor details which can have a huge knock on effect can be spotted and rectified. Why choose a boat trip with UniSURFity? Jez will be your coach, guide, entertainer and sort out any questions you have. Maximum of 8 guests. Who all want to surf, learn and chill. Only UniSURFity guests. When you book you'll be contacted to make sure this trip is definitely for you. Super relaxed, informative and fun. Specific Surf Charter boat. The crew and captain know their stuff when it comes to surf guests. Transfers to/from the airport and to the main vessel. Holiday insurance which covers surfing. I really recommend surfoffsure.co.uk for a surf specific policy that even covers your equipment. Waterproof sunscreen. I recommend Swox face and body protection which I swear by. Some USD for the boat's bar, souvenirs, and crew tips. Beer is typically $5 per tin. Spare everything - fins, leashes, boards, a ding repair kit. There's no surf shops here so bring what you might need. Reef boots are always a good idea for anyone new to reef surfing. A foot cut can ruin your holiday so bring some. Also if your really prone to sunburn then bring a long sleeve rashvest and maybe even some lycra leggings as the backs of your legs will get cooked! Gear up at Boardshop.co.uk and use UNISURF10 at checkout for a discount.